Transiting California reminds me of all the reasons why I really don’t want to ever live here again. Yes, I am a California girl, was born here, as were each of my children. But I left for good reasons, all of which come to mind as we travel south on I-5. California has so many areas that I love, that I wouldn’t want to have missed in my lifetime. If you are from the east and haven’t seen Big Sur, or Yosemite, or the Mother Lode in springtime, or Lake Tahoe, or the Lost Coast, or Santa Barbara, Santa Cruz, Monterey, the Central Coast ……I could go on and on. San Diego is rich with culture and has perfect weather. The Bay Area is vibrant and fabulous, with so much to see and do. Parts of California have wonderful places to live for lots of people who love it. Mo lived happily on the coast north of Half Moon Bay for 35 years. Trouble is, we have been to all those places many times, and now are just trying to get THROUGH California so we can get on to the southwest deserts. This time of year 395 isn’t smart, and the coast highway 101 is waaay out of our way. We are moving fast so that we have as much time as possible when we get to the Gulf Coast and Florida. That leaves us with the one choice in California that is the least lovely. Down I-5 we go, passing what I consider one of the creepiest cities ever, Stockton. The freeway through Stockton is like something in a third world country. Once beyond the Highway 120 ramp toward Sonora, the traffic thinned a bit and the road got a bit smoother. The foggy smog cleared enough that we could see a bit of the landscape around us. Just a bit, although at this time of year it was brown and barren and not so pretty Thought I would put in a pretty photo from our 2011 trip south to remind me of how beautifully seductive the state of California can be at times. We did get through it. Mo and I taking turns driving, and by the time we got to our exit toward Bakersfield, I was tired of all those cars, just so many cars, all going fast and trying to pass each other and the trucks. I plunked along at 60mph, and decided to avoid the fray, but the lines of cars passing me in the fast lane were often bumper to bumper, moving fast, but rarely a car length between them. It really was a short easy day, driving only 275 miles or so to our afternoon destination at Orange Grove RV Park. We ambled in to a nearly empty park, planning to relax after washing the rig, only to find that the park was booked solid and we were led into overflow. Water and electric only, no sewer no cable. I didn’t have reservations, but tonight the park is completely booked. The owner said that this is their busiest week of the year. oops. good thing they have an overflow! In fact, after the overflow fills up they have a big space for dry camping as well. Nice that we didn’t have to do that. We could have just continued on to Joshua Tree, but it would have been a long day and I wanted oranges. We also will be boondocking a bit and we wanted to fill up with water and be sure the tanks were clean before we wander out into the desert. I have no clue if the campgrounds (dry camps) in Joshua Tree will be full. In years past we have traveled there this time of year and everything was empty, but with this park packed in and overflowing, I am a bit skeptical. Whatever happens, we will be ready for it. There are lots of boondocking sites nearby if things are filled up in the park. In a few days we will be back with full hookups enjoying the pools at Catalina Spa in Desert Hot Springs. A friend asked that question of me this afternoon, after seeing a Facebook post about being on the road again and loving it. And the answer is “yes, of course”. That is why we aren’t full timer’s. I love going home at the end of the trip. I love being home. In reality, the only time I really get tired of being on the road is toward the end of a trip, whether it is 3 days, 3 weeks, or 3 months. Once we turn toward home, and it is getting close, I get antsy, and get tired of the doing and going of a trip. I am ready to be on with it. Much like when I am home and know that we are leaving, I am ready to get going! In reality, Barb’s question was a surprise. Reading RV blogs as I do, I know that we are on the road much less than many folks out there, even part timers often travel more than we do. In 2013 we only were on the road for a total of 102 days, a little more than 3 months, a quarter of a year. Only. I really thought that it was more than that. Until I actually counted, I thought we were out between 1/3 and 1/2 of the year. This year, however, it might actually get a bit closer to that 1/3 to 1/2 time. We will see. Looking back again, I saw that most of the summer, we were home as planned, enjoying Rocky Point. Most of the fall I was home doing family things, quilting, knitting, cooking. Last winter and spring I was still working. So no. I don’t come even close to getting tired of being on the road. Which is a good thing. Like an unfinished “bucket list”, there is so much more to do, to see, more places to explore, more hikes, more rivers…and more evenings just sitting in the MoHo quietly typing away and thinking about what I am thinking. Ha! This morning we managed to get up easily at 5:30. I had been awake since 4 and couldn’t sleep. Deb had made coffee in the house for us and left the back door open so we could slip in for a last shared morning cup before we got going. It was cold, maybe 30 degrees, and everything was shrouded in an icy fog. Seems as though those foggy inversions are a very common winter occurrence in the Rogue Valley. We left just at 6am, in the dark, with full tanks ready to go, and sleeping with the slide in and the car hooked up, we just pulled out and within minutes were on Interstate 5 heading south. Oh I do love that feeling, knowing that there are miles and months ahead of me with expected and unexpected adventures. Sometimes just a change of scenery outside the window from one place to the next is all I need to feel energized. Especially energizing today was watching the temperature rise from a frosty 14 degrees F near Yreka just over the California border to a toasty 64 degrees all the way from Redding to Lodi south of Sacramento. I have written about this stretch of road so many times, driven it more times than I care to count. Just what can you say about it anyway? The surface is a bit better in places than it was last April. The skies were clear to the west with gorgeous views of the coast range and a bit murky to the east and the Sierras. Nope, that isn’t anything new at all. I quit trying to analyze it, and when I took over the wheel, and Mo napped, I just slid into the sound of the wind coming in the open window and the feel of the sun on my face….and in my eyes. Dang, that California sun is BRIGHT! Oh…a quickie story, another one about Michelin tires. Remember how we got an entire set of Michelin tires for the MoHo before we left for Alaska? Somehow after sitting in the Texas sunshine waiting to be sold, the sidewalls deteriorated and Michelin replaced them in full, minus balancing and mounting. After 40K miles on the new second set, the tires were getting a little tired, so Mo decided to replace them before we embark on more than 8,000 miles of traveling. She replaced 5 of them in late October. Just a short time ago, she received a notice from Michelin saying those tires were being recalled. Sheesh! bad timing for sure. Mo went to town to get the spare replaced on the recall and talked to the manager at Basin tire about what to do. Today we got an email from Michelin saying that Mo was being reimbursed for all five tires that she bought. These recalls aren’t such a bad thing I guess if Michelin keeps giving us free tires! Tonight we are settled in to Flag City RV Resort in Lodi just off the interstate. We arrived early enough to set up easily and get the TV going in time for the 49rs game, a close one, but they did win. Then another re-heated dinner of yummy roast pork, apple compote and scalloped potatoes from Christmas was perfect. Earlier in the afternoon, while Mo watched the game, I took Jeremy out into the sunshine for a walk and checked out the park. This place is so generic, close to the freeway, row after row of cement pads and little grass yards, and yet it is completely perfect for us just as it is. It is clean, predictable, 27 bucks for everything with the Passport America card, with great hookups, good TV, spotless restrooms and laundry, and a really nice lounging area in the office. We don’t use any of these lovely facilities, since for us this is always just an overnighter on our first night out. Still, as I was walking around the park I thought it might be fun to at least post some photos of it and as I walked about six big rigs pulled in at the same time. Some kind of caravan thing had arrived. We never make a reservation here, and even with the caravans choosing this park, we have never had a problem getting a site. Yup, I love the unpredictability of a road trip, and then again, I love it when some things are predictable. Such as a great place to stop for a good night’s sleep on a level pad with power, water, sewer, and cable. Sadly, we are in Lodi, and if we were “stuck” we could explore the more than 100 wineries in the area that have the very best old vine zins in the world. Instead, we will settle in for a good night’s sleep, grateful that the MoHo is fairly well insulated from the sounds of the interstate, and continue south in the morning. Generic freeways, generic RV parks, all have a bit of a purpose, they get us where we are going. The desert is calling. Christmas was lovely this year, with some good times with Deborah on Christmas Eve, and then celebration on Christmas morning when daughter Melody and my local grandkids, Axel and Xavier, joined us for breakfast and dinner. Not often we try to do both traditions on the same Christmas day, but somehow this year we wanted the eggs benedict breakfast AND the Christmas dinner. In spite of the goodies in between those two great meals, we still managed to have a wonderful time eating a succulent pork roast dinner by 3PM without too much trouble. It helped that we skipped dessert after dinner, opting instead to sip Deb’s great dessert wine from the local Troon Vineyard in the Applegate Valley. Family gifts were a part of the tradition, with some homemade stuff from mom and some incredibly lovely and thoughtful presents for Mo and I from the family as well. We had fun. The sun was shining, and with the snow melting the icy driveway kept us from going on the traditional walk or the other tradition, sledding. Kevin was in California working, so he and Melody talked via text and video, and of course the phones were ringing off and on during the day while we talked with distant loved family members. Truckers Deanna and Keith even made it home to Washington to spend Christmas afternoon with son Steven. My sister Sal got a reprieve from trucking with a visit home to her loved ones in California, including her daughter Savannah, who managed to get south to sunny California for the holidays. She is a sophomore now at Oregon State and studying zoology, so Christmas break is definitely appreciated. It was a simple day with lots of love and hugs all round, and another chance to appreciate the uniqueness of every single one of us. Nothing simple or ordinary about any family, I am sure, but somehow the holidays remind us of our bonds and our lives and what we love and what we share. I wouldn’t trade it for anything. Today instead of doing the shopping thing that many are doing, Mo and I are backing up files, packing up the last of what is needed for our trip, and checking off the list items with relish. All is good for departure, and I am definitely ready for some desert time. Christmas soon and then we are outta here! In the midst of doing all the Christmasy things, I am packing for three months on the road. I am feeling just a little bit schizo, since my two deep desires are warring with each other. I want to do Christmas up well, but on the other hand, with our departure day looming so close, I am ready to get rolling, to leave the everydayness behind. I actually dreamed about eating juicy sweet oranges from the Orange Grove RV Park in Bakersfield and I could taste them as if it were real. I also dreamed about being in turquoise water swimming and watching turtles floating beneath me. Must be sunlight deprived I guess, and ready for some light and some warmth. Christmas lights are great, and at this time of year I have a LOT of lights on all the time everywhere, but nothing beats the real thing. Still, in the mean time, I have been doing the traditions. I once again did a table for the annual Rocky Point Ladies Luncheon and enjoyed the wine and good food and laughter with local friends. The local men cook and serve and pour wine and the ladies eat and enjoy. It is a sweet community tradition, and though we don’t even have a post office out here in Rocky Point, we do have a great community. See Deb there in the middle of the group photo? It was a real treat to have her living close enough to join us at the luncheon. Our only real snowfall this season was early in the month so Mo and I haven’t had to spend a lot of time plowing and shoveling. Instead, I have been tied to the sewing machine, and actually managed to get Deanna’s quilt bound and shipped, and finished some Christmas presents for my other daughters. Mo and I traveled over to Grants Pass a couple of times, just a bit nervous about the 6 degree temperatures that Deb reported to us, but the MoHo was just fine with the small heater we left running. Deb didn’t have cold water in the cottage kitchen for a few days, but those kinds of temperatures are almost unheard of in Grants Pass, so hopefully that won’t be happening again very soon. The MoHo shed is big and built well, but still, without any heat, it is amazing how warm it stays inside. With each trip we take a bit of “stuff” over for the big trip. The bikes and kayaks are there, and our single cruise suitcase that will have to be hauled around in the Tracker until we reach New Orleans. I keep wishing I could pick Erin’s brain about how they packed for their three months of travel in all sorts of conditions, but I guess that will have to wait till I am in Port Aransas and actually visiting with her in person. It feels a bit like being a full timer, but in a much smaller rig. I really don’t need three months of clothes. Mo reminds me that of course there will be laundry facilities along the way. I am laughing at myself here a lot, at how silly it is to try to pack for three months. People pack for a lifetime of full-timing with much less angst, I am sure. Hard to believe that Mo and I fit a week’s worth of cruising stuff in one suitcase….minus the snorkels however, they are in a mesh bag tied to the suitcase. No airplanes to restrict us this time. We drove over the mountain to the cottage again last Saturday to spend an afternoon attending to travel preparations and details and to spend some time with Daughter Deb. Grants Pass is such a lovely small town, and it actually has a really cute “downtown”. I am glad that we settled on property there rather than over in Brookings where we looked originally. Brookings has the ocean, but it doesn’t have any kind of real downtown. Deb treated Mo and I to dinner at a well known established restaurant, overlooking the Rogue River, called Rivers Edge. It was a lovely experience in a lovely place and we all had a great time. After dinner we went downtown to view the charming musical lighted panels that line the streets. They are a different take on town Christmas lights and are so much fun. The weather cooperated with no rain and temperatures in the low 30’s rather than single digits. Nice for walking, but also nice to have the car close by to warm up. We then went down to the park to check out more lights and then home to the cozy MoHo. Jeremy was in full old-cat-mode and we got a taste of how this next three months will be a bit challenging. Fun, but challenging. I wouldn’t have it any other way. I can’t imagine how I thought I could leave him behind. Although at 4am when he gets all talkative and needy I wonder at my sanity. Anyone who thinks cats are independent hasn’t lived with a cat for 17 years. Old cats are needy, needy, needy! Tomorrow Deb will be here for Christmas Eve cooking time together, and on Christmas Day Melody and the kids will show up early enough in the morning to have our traditional eggs benedict Christmas breakfast. I am planning on a classic pork roast, bone in, with a sweet salty crusty rub. I love my Cooks Illustrated magazine recipes. Something as simple as a pork roast has a four page fine print article on the science and chemistry of making a truly tender, tasty roast. I did it once before so I know it works! On Thursday morning I will start putting away the Christmas decorations and packing up the last of the clothes and food for our trip. Back up the computer, back up quicken, make sure we have ALL the cords and chargers for all the electronics, the batteries and chargers and cases for the cameras, so much stuff to remember! Sheesh! I did remember recently that I will not be in the wilderness for the entire three months. I can buy something if I forget it, right? Still….I am making way too many lists and then trying to remember where I put them. I think that is why I am so ready to be gone. Once we leave, all the details slip into place and a sort of peace settles in. When we planned our winter trip south, we knew that December in this part of Oregon can be cold, snowy, and wintry. Still, I wanted to be home at Christmas in spite of the weather. Daughter Deb is close enough now that she can come over the mountain to share the holidays with us, and Melody and her family always come out for Christmas as well, with just a 25 mile trek from Klamath Falls to mom’s house in the woods. We have some great family traditions, one of which includes sledding down our hill on Christmas day. There have been times when there was no snow, but not often. Last year the snow started in November and I counted 13 consecutive days of plowing and blowing as the snow dumped on us. This year November was sunny and the grass was still green. Then WHAM, that Big Chill that gripped the nation landed in Oregon as well, and our temperatures were as low as 20 degrees below Zero F. We broke all time records for cold for any day in Klamath Falls with readings of almost 30 below. Yup, you read that right. 30 miles north of the California border and it was -28F. The good part about this cold spell however, was that it was just too cold to snow very much. Around the 5th of December, the snow started falling and Mo and I plowed and shoveled for two days, unable to keep up with the dumping white stuff. Then the true cold hit, the skies turned bluebird blue, and the snow froze in place, clean and dry after all our snow management. With temps that cold, there wasn’t much ice in our driveway and on our road, and we haven’t had to plow since then. The rest of the area wasn’t so lucky, however. Daughter Deb over in Grants Pass spent a few days without water when the pipes froze. Grants Pass and the Rogue Valley are not used to that kind of weather, and there were hundreds of accidents on the local roads and freeways and most of the schools have been closed for more than 5 days now. We didn’t winterize the MoHo but left a heater running inside and the RV shed is completely enclosed, so we think all is OK. Our reason for buying the Grants Pass property had to do with lowest winter temps being an occasional bout with the teens and most of the time above 30F or so. Daughter Deanna was right in the midst of the worst ice storm, just 30 miles from Dallas, where she and her husband spent 13 hours trapped in their semi on one of those “fake” hills at an overpass that no vehicle could manage. Deanna said someone would try and they all would slide backwards. Traffic was backed up for 40 miles or something like that. They finally got out of the mess to deliver in Memphis, run down to Miami to pick up some other kinds of fancy engines, and take off for Manitoba, where the cold was just normal Manitoba cold and not impossible to navigate. Here at home, I managed to work on quilt projects for Christmas presents, and finally got the house decorated. I do love decorating for holidays, but for some reason it was a bit hard to get into it this year. I was dragging my feet. Possibly because I knew we were leaving just two days after Christmas, not to return until April. I definitely want to get it all packed up and put away before we leave, and of course I know there will be a bit of crunch time in that short two days as we finalize our packing for three months on the road. Last night I finished up the lights on the porch, and in spite of the lack of enthusiasm I felt during the process, as I stood out in the snow looking at our cozy house I was so glad I had made the effort. Somehow it finally feels like Christmastime. Today I’ll go down to our Rocky Point community place and set a pretty table for eight for the ladies luncheon held here every year. The kids will come for Christmas Eve and Christmas Day and the house will look like a Mom’s house is supposed to look. I’ll start baking cookies and make some fudge, listen to some Christmas music and be grateful that we decided to stay home once again for Christmas. This year I even made the effort to do Christmas cards and the Christmas letter. I saw on the news not long ago how this old tradition is rapidly dying as we all seem to be communicating in different ways with social media and the internet. I decided that the letter and a sheet of photos was still a nice gesture. I still have old Christmas letters from lots of friends who used to send them. Mo gets lots of cards every year, I get very few. I do think I have friends, but maybe our friends are different kinds of people. Hers are more traditional, mine are all over the map. All over the map kinds of people tend to not send Christmas cards. So what am I, all over the map or traditional??!! Who knows if we will be here every year. Sometimes we might like to take a break and travel somewhere warm BEFORE that winter snow and cold hits Rocky Point. Each time I have done that, however, my heart misses the old traditions of Christmas and my family, at least as many of my family that I can gather in one place at one time. Mo would much prefer to be elsewhere at this time of year, and when I first knew her, she would almost always be off somewhere in December, avoiding all the Christmas hubbub, calling me from Spain, or Costa Rica or some other exotic location. I am glad that she is tolerant of my need for family times and patiently waits for two days after Christmas to escape. Of course it is, it is doing something dramatic just about everywhere in the country right now and the southern Oregon coast is no exception, in spite of that “Banana Belt” description for our current location. The National Weather Service is actually predicting the possibility of scattered snow showers down to sea level, and temperatures well below freezing tonight and tomorrow night “on the beaches”. Whew! Makes me happy for tank heaters and a nice little electric heater to keep things cozy inside. After a couple of months hanging around home and Grants Pass, the second home, we decided to come to our third home, Harris Beach State Park. We needed a change of scenery. I suppose Mo needed a change of scenery, especially that daily view of fabric and sewing machine on the dining table. I am comfortably settled into the super comfy, super convenient new dinette with a view out the windows, watching the surf breaking over the black shadows of marine rock sea stacks below us on the beach. It has rained all night, but the thick spruce above us makes the rain fall in spurts and fits as it sifts through the trees to the roof, random and not at the steady rhythm of raindrops in more open areas. We have been entertaining ourselves with radio, tv, reading, computing, and for me, some knitting. Resting, napping, and a few damp walks here and there have rounded out the schedule, or non schedule you might say. Mo took Abby for a walk this morning but so far I am still in jammies…oops…it is no longer morning! Yup, he was, and he said that by the time we got back with the MoHo three more folks had asked about the spot. Lucky us! 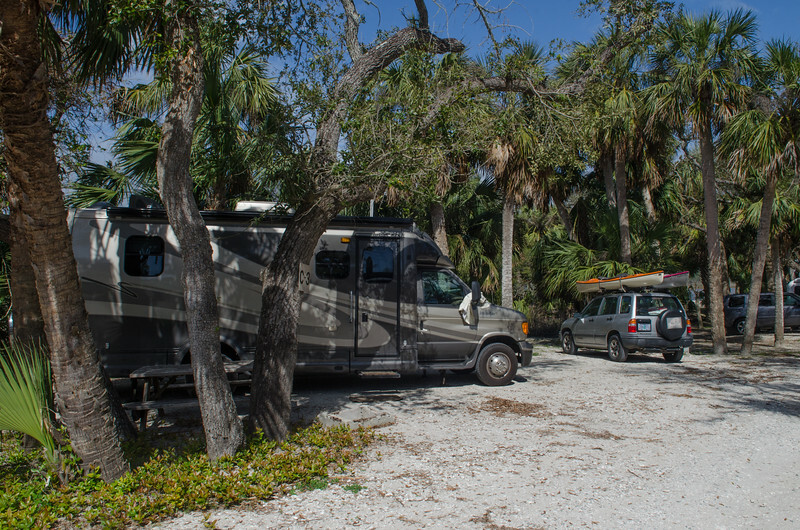 A23 is probably our favorite site in this park, with ocean views, a bit of tree cover for protection, nice shrubs around to block public view of our table and firepit, and of course cable, water, and electric. No sewer, but we can handle that for the four nights we plan to stay here. That first day was gorgeous, and Mo unloaded the firewood for our planned campfire, but instead of cooking outdoors we wandered off to Harbor to the Chetco Café for our traditional fish and chips supper. Love that place, so much that we didn’t even mind waiting another day to polish off the Thanksgiving leftovers. Thanksgiving was as delightful as expected, with family gathered at Melody’s house to partake of the fabulous cooking of both daughters and a couple of Melody’s friends as well. It was a good day and it was nice to go back home with a pack of leftover containers and no mess to clean up. Things around Melody’s house are up for some changes with Kevin heading south to Mountain View for his Google job this week and Melody in full Christmas mode at the jewelry store in the midst of rehearsals for her play. Seems as though grandson Xavier is also trying out for “Grease” so things should just be hopping around there in the next couple of months. Mo and I drove to Grants Pass and visited with Deb at the cottage overnight before pulling the MoHo out to enjoy the biggest reason for the Grants Pass property…just two hours to the beach. The drive was beautiful and the change of scenery was divine. Yes, we knew rain was coming, but that didn’t matter in the least. Love coming to the ocean any time of year. On Sunday, even though it was cloudy, the rain held off long enough for us to get some good beach walking time and ball time with Abby. Balls and beaches are her favorite thing, but it was a bit bittersweet as she seemed to be somewhat less energetic than before. She loves it so much, but the years are catching up and she tires more easily. Hard to watch our animals age. I suppose it is hard for our kids to watch us age. Better than the alternative, at least we are all still here. On a last note….I have changed some plans for our three month travels. Jeremy will be coming along after all. My heart just can’t deal with abandoning my sweet cat after 17 years of loyalty, even if it is at my daughter’s home. He is so needy and attached to us, and to Abby, and to our life together. We decided we will just deal with whatever his age requires for the trip. Jeremy is heading for Florida! I know one person down there who will probably enjoy meeting him. Karen and Al are serious cat people who have been through the “old cat thing”, and I hope that I can introduce them to Jeremy. Later: The rain stopped, and cold notwithstanding, Mo got a great fire going tonight.